Portsmouth Grammar School relies heavily on Information Communications Technology (ICT) to enhance learning, improve the quality of teaching and ensure reliable disaster recovery and data protection. Medhurst has designed, implemented and migrated its existing physical server estate to VMware’s vSphere platform. As a result, the school has seen a number of significant benefits, including hardware consolidation, reduction in power and cooling needs, centralised administration and ease of server provision and innovative disaster recovery. On top of this, an estimated 3-year projection suggests the school will make savings of over £21,000 with the system installed by Medhurst. In our experience, the IT infrastructure needs of schools are comparable to many medium sized commercial businesses. The benefits that businesses enjoy through virtualisation also keenly fit the school ICT environment. 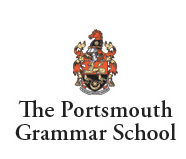 Portsmouth Grammar, like many other local schools, has been able to dramatically reduce its IT investment and costs with VMware vSphere, consolidating its resource pools, and being able to deliver resources and applications when and where they’re needed.